POV is full of friendly, fun and exciting families in 443 homes nestled among mature trees in the desirable South Katy area. 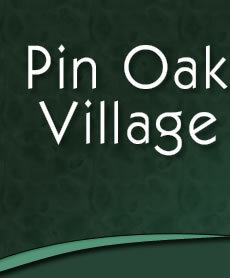 Our neighborhood has two recreational areas: the clubhouse area includes the POV clubhouse (available for rental), swimming pool (home of the Pin Oak Piranhas) and tennis courts. The South Park at the intersection of Westheimer Parkway and Viewridge has a second tennis court complex and a playground, with updated equipment installed in 2011. POV is known for responsible financial stewardship, which enables us to provide great amenities while keeping dues assessments among the lowest in the area. We are entering the final phase of our facility improvements, which included replacing and upgrading the playground, replacing the exterior fence and landscaping, and refurbishing our recreational buildings and facilities. Spring Fling- Adults only dinner and libations at the clubhouse by the pool- great time to unwind and meet the neighbors! Fourth of July Parade - Decorate your favorite two or three wheeled bicycle or tricycle and join your neighbors in a patriotic parade! Christmas in the Village - Hayride tour of lights departing from the Clubhouse, with hot chocolate and cookies for all! POV has many ways to get involved in the community: the POV Homeowners Association, Fort Bend County MUD District, Swim Team, Ladies Club, Ladies Tennis, Men’s Tennis and Prime Timers. The Homeowners Association meetings are the second Wednesday of every month. The Fort Bend County MUD District meetings are the third Wednesday of every month. Both meetings are held at the P.O.V. Club House. To contact someone for more information about these groups, please visit the Community Contacts page.